Could it be? 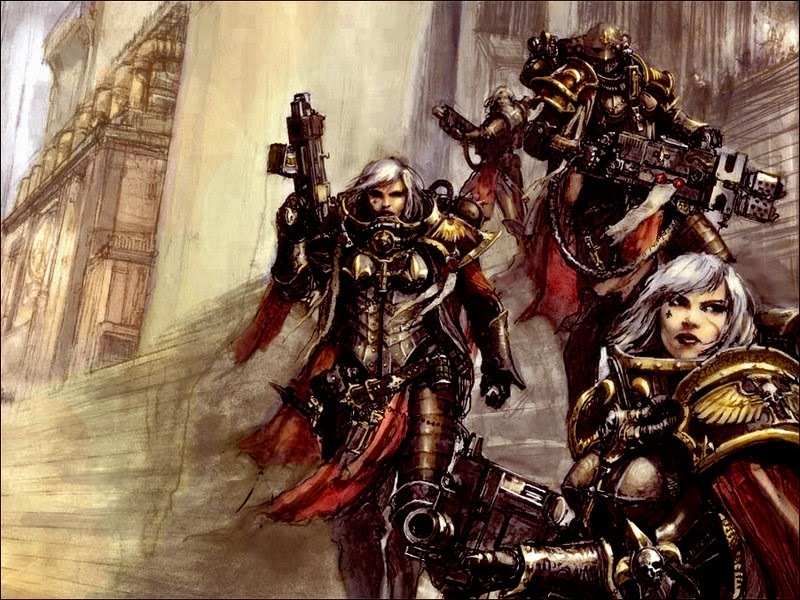 Will the Sisters of Battle finally get a plastic kit? 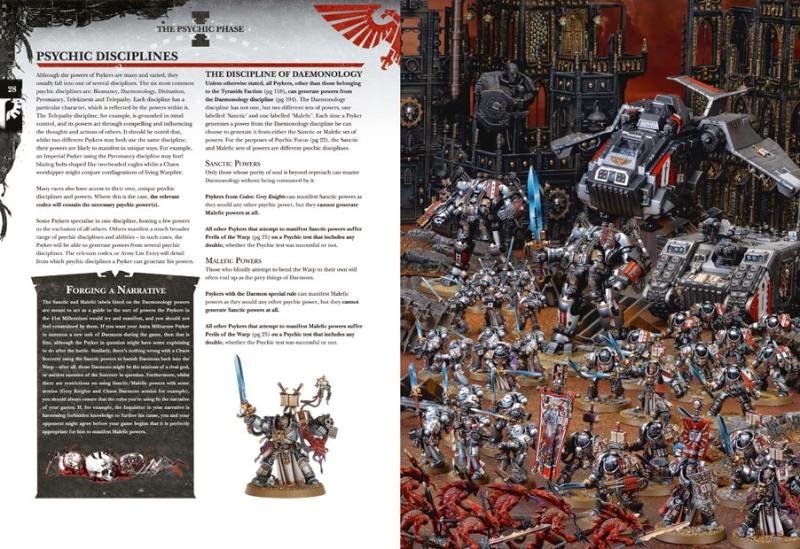 Whilst it's unlikely anyone could come to a conclusion at this time, this is the first range of models we've seen that specifically state: "No Longer Available" on the new GW website, as opposed to "Temporarily out of Stock." 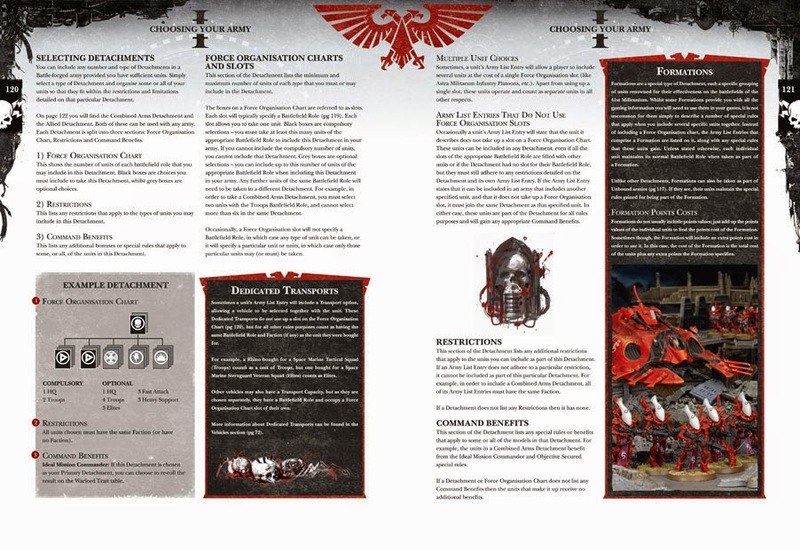 Perhaps there is hope, for those who want to collect Adepta Sororitas, but don't want to fork out the huge prices for metal models. 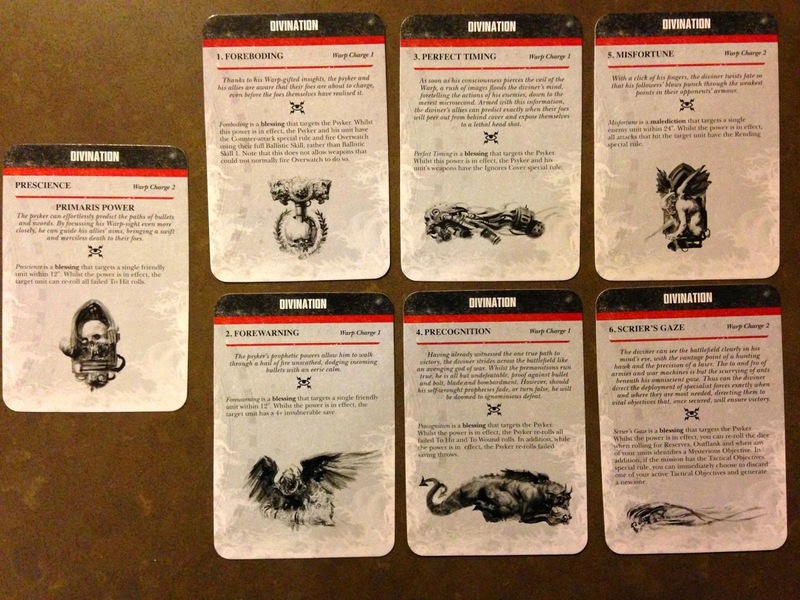 So here are the 7th edition Psychic abilities. 7th Edition Approaching. More official videos. Here are the other two of those 3 videos GW promised us. There is little information in these that many of the online fan base hadn't already worked out by reading screen caps and listening to leaks, this only confirms things. The psychic stuff sounds really interesting, the ability to nullify your opponents spells appears to be a good thing. I can't really cast much judgement on that until I get hold of the new rule book and try to understand how it works. I'm surprised Daemonology wasn't expanded upon in this video in a push to sell more Daemon models. 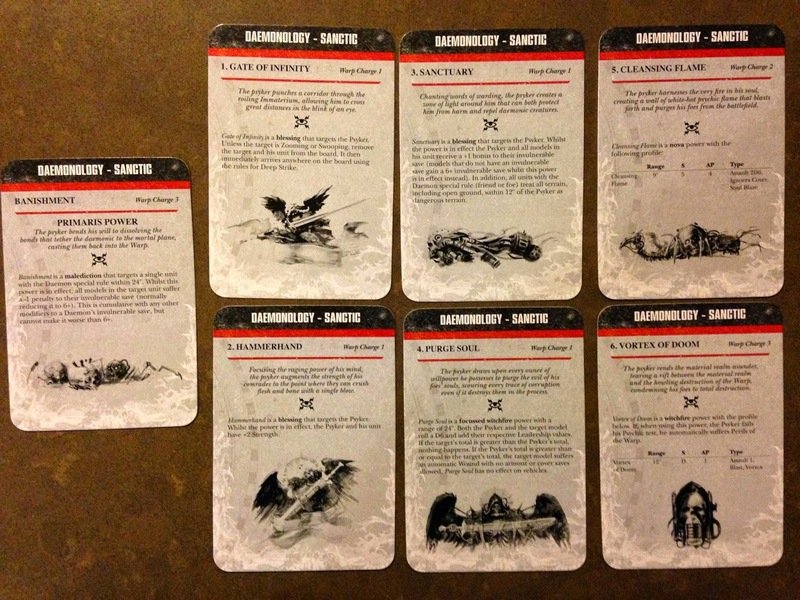 The latest word on Daemonology: The two Daemonology pools are Malefic and Santic. Everyone using this two spell disciplines will suffer a perils on any double. Except Grey Knights and Daemons. 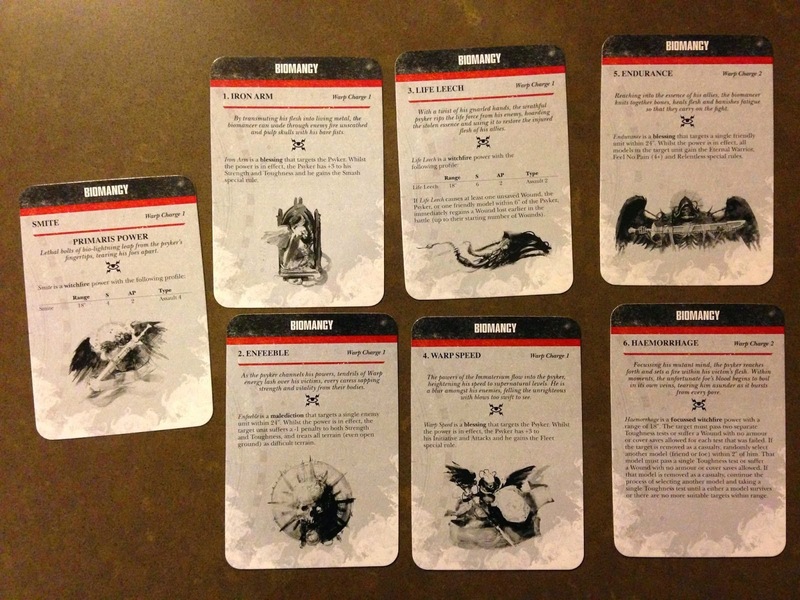 Daemons cannot take Santic and do not suffer perils on doubles with Malefic spells. And Grey Knights equally cannot take Malefic and with Santic, they will not suffer perils on doubles. The Malefic spells can be seen in a previous post of mine, whilst the Santic ones are said to revolve around demon banishing, slaying, etc. Tyranids will have no access to these psyker trees but most other pyskers will. We are very close to the release of this now, on the 24th of May I will be able to bring you more information on how this has effected the game. Until then all we can do is keep our eyes on the forums and blogs across the web. I'll leave you with some more screenshots, grabs and scans that can be found around the web. 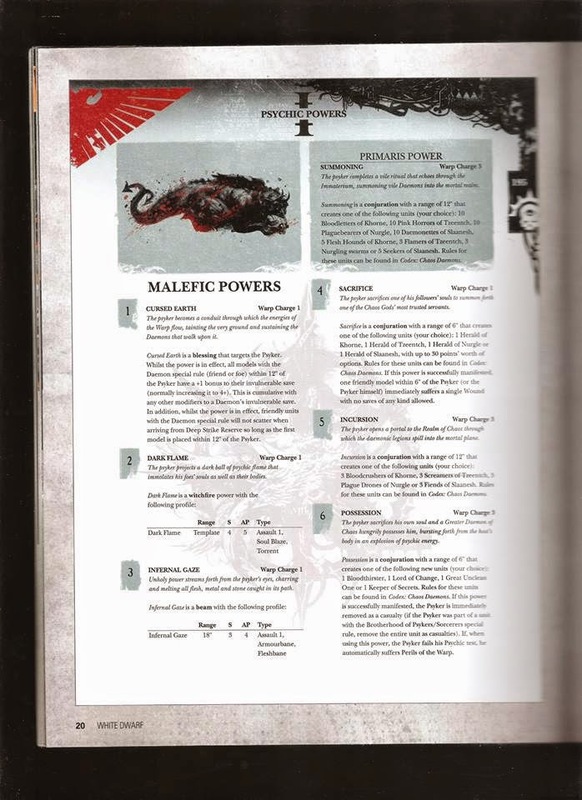 As expected, Malefic powers teeter towards the summoning of Daemons and sacrifice of allies (or ones self) - Particularly number 6. What it takes to gain access to these powers is unclear but it's looking more likely that Games Workshop will be enjoying sales of Daemons in this new edition. I like these powers, I am excited by them. 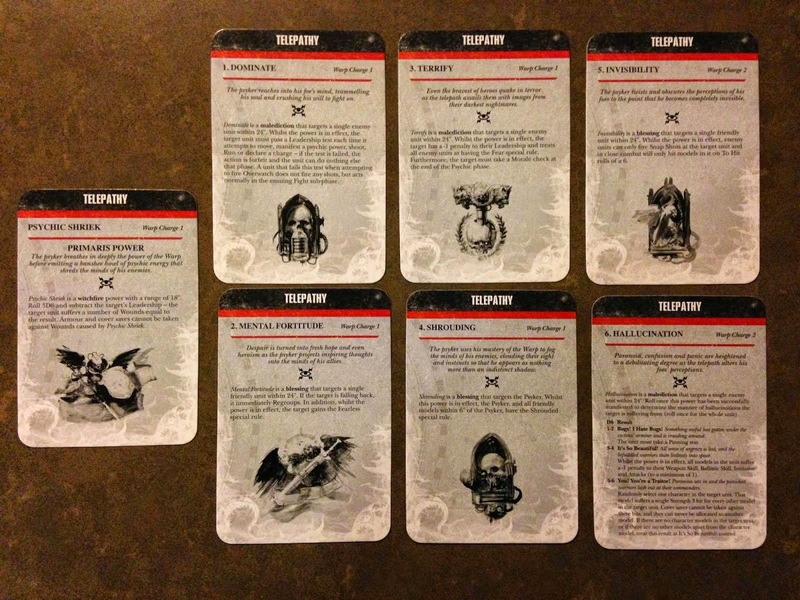 I just hope they aren't generally available to the average loyalist Psyker. Still, time will tell! Until then, enjoy eating up all the leaked information! A quick summary based on what I've seen in the video. A lot of the following is based on my impression of the video and some general assumptions. Battle Forged lists are going to use the FOC we know and love (with some changes in the way things are phrased and the way detachments are used - Not all that clear yet.). The troops from Battle Forged armies will get a special rule known as "objective secured" - They cannot be contested by models that do not have this special rule. It's worth mentioning though, that it is not yet entirely clear how a unit is given this Special Rule. Unbound lists will allow people to ignore the FOC - However their troops will not be granted the special rule as stated above. Meaning they are far less competetive for objective based games and will likely be expected to try and wipe out the opponent's army by tabling them. Also, it seems there's to be more added emphasis on Formations as more will be released. More to come within the coming weeks, the video also comfirmed the release date as mentioned in my previous post. That was video 1 of 3 from GW. It's nice to see them informing their players about the upcoming stuff - In fact just yesterday I was talking about how they've specifically avoided doing so in the past! With the new edition of Warhammer 40,000 approaching, most of us tend to hit forums or blogs for the latest rumours and leaks. Why? Because Games Workshop have a habit of covering up new releases to the point where it's fan base start to go crazy. Is this their plan? Most likely. The hype generated from discussions and arguments about how new rules are going to change the game is what drives us a consumer base. Admittedly it is annoying, but it appears to work. There are many things being debated at the time of writing, across multiple forums and websites regarding things that have leaked from the new edition (if we're calling it 6.1/6.5/7 at this time is even being debated). Snippets from white dwarf, people speaking to GW staff, 6th edition rulebooks being recalled, we know it's coming - but when? 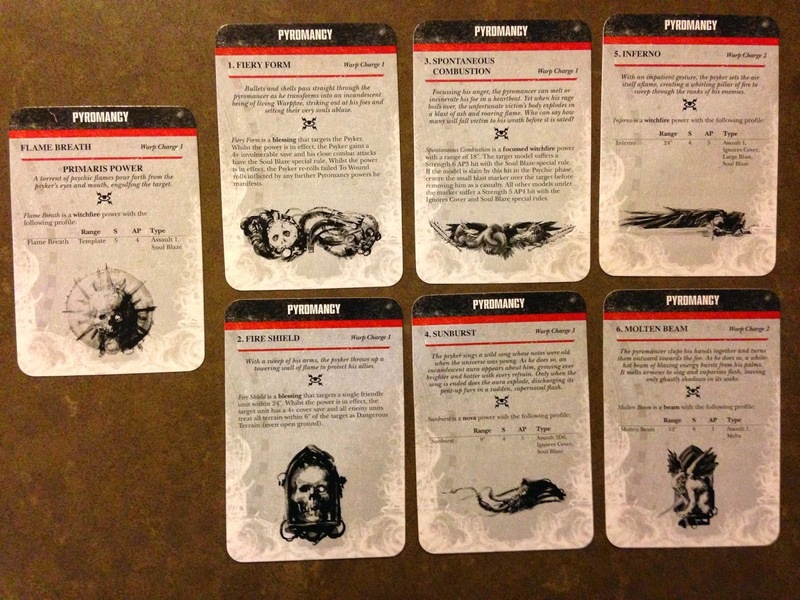 We're expecting a Psychic phase to appear in the new edition, amongst the already existing Movement, Shooting and Assault phases. This phase is intended to be used when you cast psyker abilities. Rumour has it, during this phase your psyker power will equal 1d6+your psykers mastery level. Equally, allowing you to use your 'power' to counter your opponent's spells within this phase. 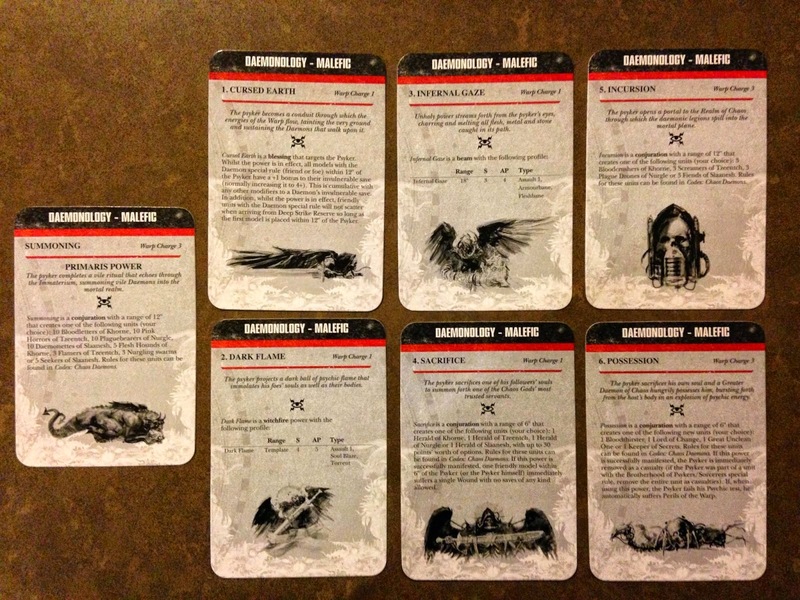 The next part is more intriguing; Daemonology. Screenshots of a recent play testing article in White Dwarf have raced around the internet at an alarming rate. 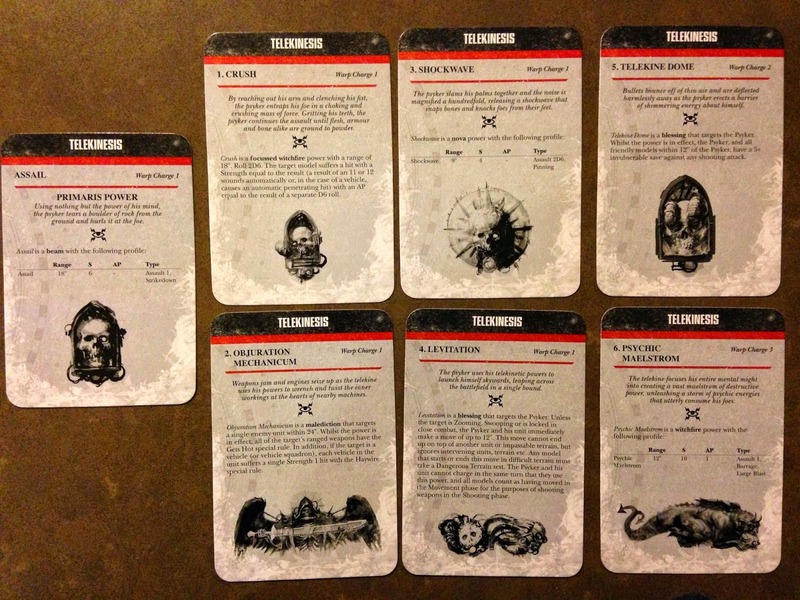 Our loyalist Librarians (amongst most of the other psykers - except Tyranids) are going to have the ability to summon(or transform into) a daemon. How this will work and what penalities will incurr are at this time unclear. This has sparked conflict with many imperial purists! According to leaks, we are to expect changes to the way we build an army. The 'list' building we know and understand will be changing. We are likely to be looking at a list that includes percentages similar to WHFB. This is apparently to be known as 'Battleforged' - and following this structure is going to give bonuses. 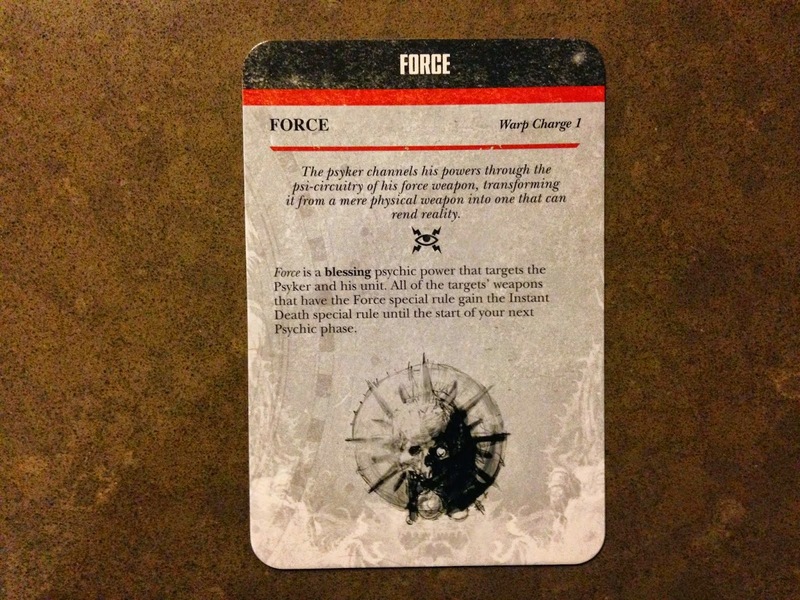 Alternatively there is going to be the option to not follow the structure of the force organization, known as an 'Unbound' list - These lists are likely to give players the freedom to put whatever they like into their army. This has proven to be a controversial move amongst the player base, as structure and balance seems like it is out of the window. I would like to hear your opinions regarding this but I'd also like to make one final point. In short, stop worrying. Strap yourself in and hold on tight. We need to see it before we decide how it impacts us, so let's just wait and see. Just know that it is coming, sooner than we ever thought.